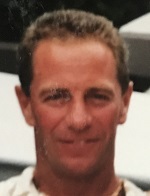 JEFFREY O. MCMANAMON, age 57. Dear father of Jeffrey O. McManamon Jr. (Kari) and Sean R. McManamon. Grandfather of Max and Evelyn. Brother of William McManamon (Shelly) and the late James McManamon. Uncle of Jackie and Kimberly. Son of the late James and Carol McManamon. Memorial Service Friday March 29, 2019 8:00 pm at the SCHUSTER STRAKER O'CONNOR FUNERAL HOME 5904 Ridge Road Parma, where friends may call from 5:00 pm until time of service. In lieu of flowers the family suggests contributions to Open Heart Magic 67 E Madison St #1504 Chicago, Illinois 60603.